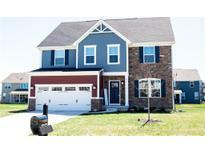 Below you can view all the homes for sale in the Silverton subdivision located in Fishers Indiana. Listings in Silverton are updated daily from data we receive from the Indianapolis multiple listing service. To learn more about any of these homes or to receive custom notifications when a new property is listed for sale in Silverton, give us a call at 317-987-2530. The large 3 car side load garage, cement composite siding, & landscaping complete this perfect property! MLS#21625535. F.C. Tucker Company. Finished basement with Recreation room, home theater /exercise room, full bath and tons of storage. Community pool, playground & bball. MLS#21629842. F.C. Tucker Company. Home is to-be-built & photos are of similar model. MLS#21627149. Berkshire Hathaway Home. 14x16 deck, 3 car tandem insulated garage. MLS#21619602. Berkshire Hathaway Home. Photos may be of a similar model w/ some upgraded options. MLS#21616255. Berkshire Hathaway Home. 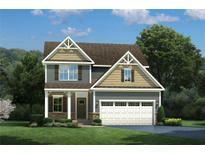 This home is to-be-built & photos are of similar model. MLS#21611647. Berkshire Hathaway Home. This home is to-be-built & photos are of similar model. MLS#21607369. Berkshire Hathaway Home. This home is to-be-built & photos are of similar model. MLS#21607367. Berkshire Hathaway Home. Photos are of a home with the same floor plan and similar features. MLS#21560261. RE/MAX Advanced Realty. Photos are of another home with the same floor plan and similar features. MLS#21560178. RE/MAX Advanced Realty.